It can be difficult to know which information presented to us by the media that we should listen to. There are so many conflicting messages, and we hear more and more about conspiracies that make us question what we once thought was healthy. How do you know what to listen to and what to ignore? That is where we like to step in to help. We want you to run as fast as you can, enjoy your running as much as you can, and become the best runner you can be. In this article, we’ll outline why maintaining electrolyte balance is important and outline a scientifically formulated plan to help you do it. 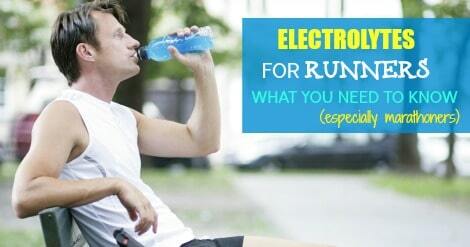 What do electrolytes have to do with running? In previous articles, we’ve looked at why fueling is important in running long races like the marathon. Taking in fuel in the form of sugar will allow you to get all the way to the finish line without hitting the wall. But another fueling concern we haven’t addressed is the loss of electrolytes via sweat. Electrolytes, as you might know from the marketing efforts of sports drink producers, are charged ions that play a multitude of essential roles in regulating your body, not just during exercise, but during your everyday life as well. The electrolytes sodium and potassium play a critical role in regulating your body’s water balance during exercise: the levels of these electrolytes allow your muscle cells (and every other cell in your body, for that matter) to retain the right amount of water. But when we exercise, we lose electrolytes via sweating. The sodium content of sweat is why it tastes so salty. In a short race, like a 5k, electrolyte loss isn’t a major concern, even on a very hot day (although you do have a higher risk of heat stroke). But in long races in the heat, especially if you aren’t acclimated to exercising in hot weather, electrolyte losses can impair performance. If you are trying to rehydrate by drinking a lot of water, failing to consume electrolytes at the same time can upset the balance of electrolytes in your bloodstream. In a worst-case scenario—drinking lots of water during a very long race in the heat, for example—this can even lead to a dangerous condition called hyponatremia, where blood sodium levels drop too low. Therefore, keeping your electrolytes balanced is critical for both performance and health. Even in more mundane situations, when not racing in extreme heat, maintaining your electrolyte balance has its advantages. A 2001 study by Sanders, Noakes, and Dennis found that cyclists who consumed a sports drink with sodium in it during a 4.5 hour ride produced much less urine than those who consumed an equivalent volume of salt-free sports drink. They concluded that this was because the cyclists did not need to excrete as much water to balance out the sodium concentration inside their bodies. This bodes well for marathoners—after all, who wants to have to take a bathroom break during a race? It seems strange that the “saltiness” of a fluid influences how much urine your body will produce, but when the fluid you’re drinking (the sports drink) is closer in electrolyte concentration to the fluid you’re losing (sweat), your body can more or less replace the sweat one to one instead of having to add in electrolytes that are already in your body, resulting in lower overall sodium levels in your blood. According to Tim Noakes, a physiology researcher and medical doctor in Cape Town, South Africa, sodium is the only electrolyte of importance to endurance athletes during exercise. Although potassium and magnesium ions are lost as well, their concentration in sweat is so low that depletion of these electrolytes is not a problem. So, what’s the best way to replace the electrolytes you’re losing? Old-school salt tablets are certainly an option, and you could also look into EnduroPacks, who have created an electrolyte spray with all the essential electrolytes no matter what you are doing. Thirdly, you can always fall back on the almost unlimited sports drinks lining the shelves. While Noakes writes that he would prefer modern sports drinks to have a somewhat higher sodium content, he admits that the electrolyte content of popular drinks like Gatorade and Powerade are at least close to being adequate for marathoners. While sports drinks are easy when racing, when you’re replenishing electrolytes throughout the day, you don’t want to be consuming high amounts of simple and artificial sugars. That is why we like EnduroPacks Electrolyte Spray as you can add it to any drink of your choice, and it contains zero sugar and zero calories. When it comes to when and how much to consume electrolytes, you can follow basic guidelines for hydration during exercise. Hydrating during a workout or a race usually isn’t necessary unless it will last longer than an hour. In longer events, drinking “ad libitum“—i.e., to thirst—is the recommended method. For most people, this ends up being between 14 and 20 fluid ounces per hour of exercise. In marathons, you’ll also have to take carbohydrate fueling into account, as depending on your fueling needs, this amount of fluid intake may or may not provide you with enough sugar to prevent hitting the wall. As with almost everything in running, when it comes to losing and replenishing electrolytes every runner is different. Some runners are “salty sweaters” and some people sweat very little. Luckily, we’ve created a very handy sweat loss calculator for runners that will help tell you exactly how much sweat you lost and give you a much more accurate estimation of how much water and electrolytes you need to replace. Finally, it’s important to note that your electrolyte loss (and fluid loss in general) will be greater in the heat. Fortunately, this is compensated for by an increase in thirst, so drinking to thirst in workouts and races that last longer than one hour should keep you on the right track, as long as you’re consuming sodium as well. 1. Sanders, B.; Noakes, T. D.; Dennis, S. C., Sodium replacement and fluid shifts during prolonged exercise in humans. European Journal of Applied Physiology 2001, 84 (5), 419-425. 2. Vrijens, D. M. J.; Rehrer, N. J., Sodium-free fluid ingestion decreases plasma sodium during exercise in the heat. Journal of Applied Physiology 1999, 86 (6), 1847-1851. 3. Noakes, T. D., Lore of Running. 4th ed. ; Human Kinetics: Cape Town, 2001. 4. von Duvillard, S. P.; Braun, W. A.; Markofski, M.; Beneke, R.; Leithäuser, R., Fluids and hydration in prolonged endurance performance. Nutrition 2004, 20 (7-8), 651-656. 5. Noakes, T. D., Hydration in the marathon: using thirst to gauge safe fluid replacement. Sports Medicine 2007, 37 (4-5), 463-466. I would love to hear your take on the work that Dr. Timothy Noakes is doing at Cape Town University. This is my understanding of the situation although I’m not a doctor or physiologist. Just an excited coach that wants the best for my athletes. The problem with the idea that we need to replace the electrolytes that we lose during exercise is that our sweat is hypotonic or we’re actually losing more volume then electrolytes in each drop of sweat. Our body has a sodium serum concentration level of about 140mM/L while our sweat is only 20-60mM/L depending on how salty of a diet a person has. That means that as we sweat our sodium serum concentration levels are actually increasing and we need to drink more water (not Gatorade) to return that level back down into homeostasis. The sodium serum concentration of Gatorade is only about 30-40mM/L so Gatorade will not save you on the electrolyte front by any means, it’s actually getting you into that dangerous hyponatremia the same as water is. If race and people would stop thinking that they have to drink at every aid station and just take in fluids as they get thirsty then that would solve a lot of problems but Gatorade has put so much money into advertising and pur doctors into all the right places the keep this information from getting out. My understanding from Noakes is that “any sodium ingested during exercise will be excreted in urine” (Waterlogged). 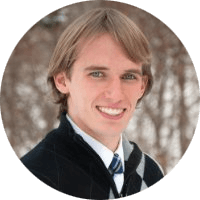 Mjern – I haven’t finish Waterlogged yet but from interviews I’ve heard with Dr. Noakes is that any “excess” sodium will be excreted via urine or sweat not “any” sodium ingested. Once that sodium serum concentration is back down to homeostasis that sweat and urine will become less “salty”. Are you quoting the book? If so I’d love to see what page that’s on and give it a look. One think I’m unclear on from the book is what “exercise” consists of in this context and when sodium intake such as from Nuun or sports drink *will* help replenish any lost salt stores. From my understanding, Nuun and other elctrolytes don’t have a high enough sodium level to prevent hyponatremia from happening eventually and that if you did try and drink a solution that had a high enough level of electrolytes that it just wouldn’t be palatable. The fact that you’re putting electrolytes into your body will postpone it but if you’re drinking lots of water along with the electrolytes then you’re going to be diluting it anyway. Patrick – this is an excellent summary. I am a sports medicine physician with a research interest in hydration in runners. This article is quite misleading. In >99% of runners, the electrolyte loss from sweat has no impact on health or performance. The amount we lose is inconsequential to the amount we eat in our food as well as the amount we store in our bodies. No sodium replacement will prevent hyponatremia because exercise associated hyponatremia is a problem mostly of excess hypotonic fluid intake, rather than sodium loss. Concentrated IV solution is required for symptomatic patients with EAH; this far far more concentrated than any oral supplement is.